List of Passers: 2014-15 ALS A&E Secondary Level (A-D) Test Results - Balita Boss! The Department of Education (DepEd) released on Tuesday, May 26, 2015 the result of 2014-2015 Alternative Learning System Accreditation and Equivalency (ALS-A&E). 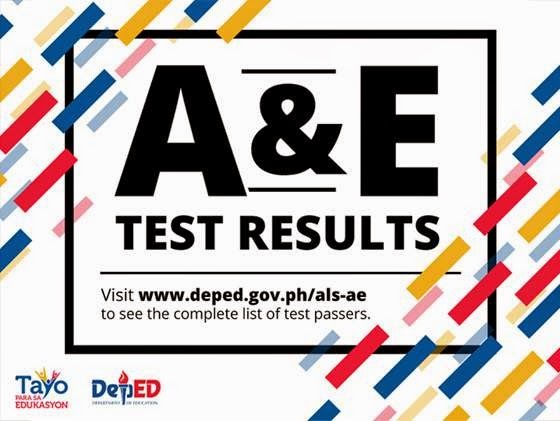 To download the 2014-15 ALS A&E Test Passers Secondary Level (A-D), please click here or here.